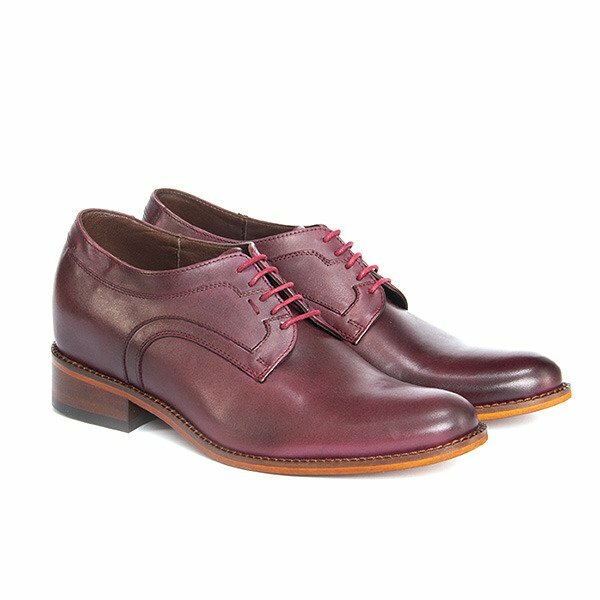 The original dark cherry color, an increase of 7 cm. Footwear made of genuine leather. 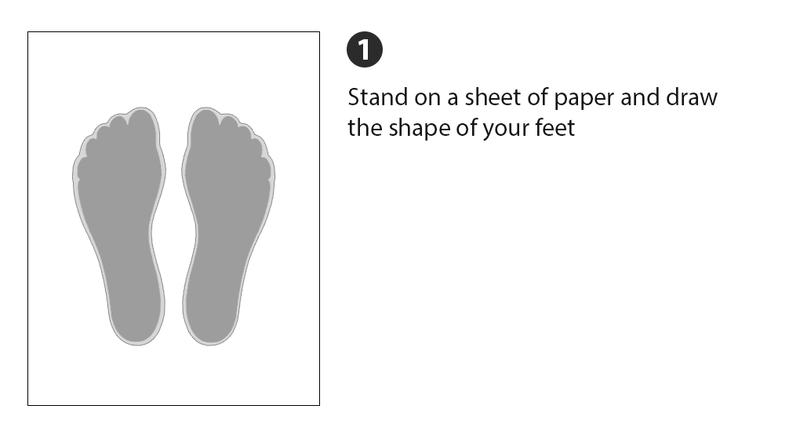 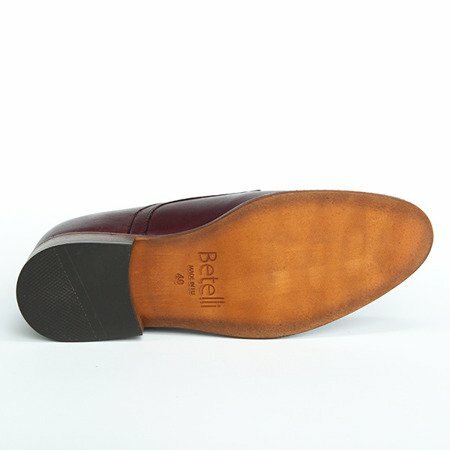 394041424344Size chart - check which size to choose. 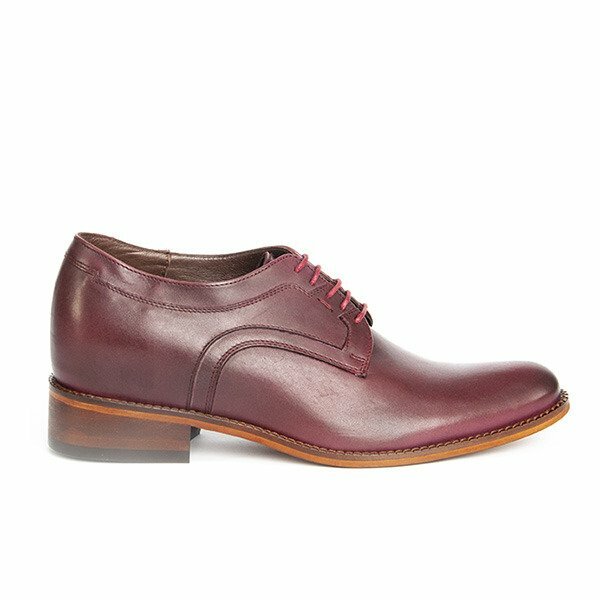 The Campo model is characterized by a beautiful and original color of dark cherry with elegant, decorative stitching. 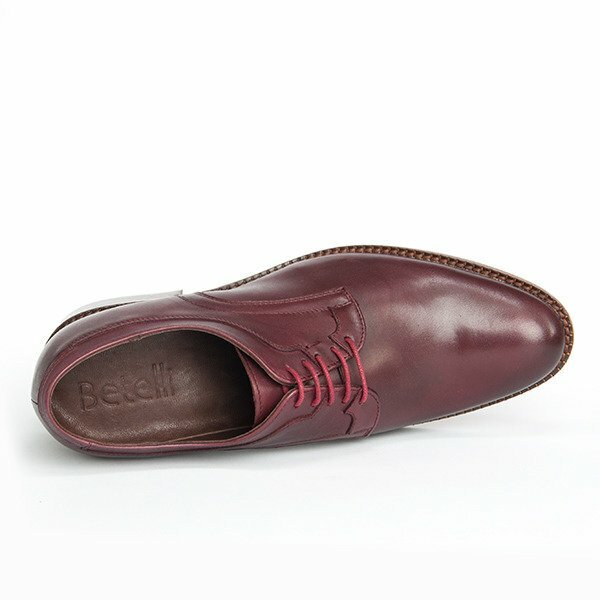 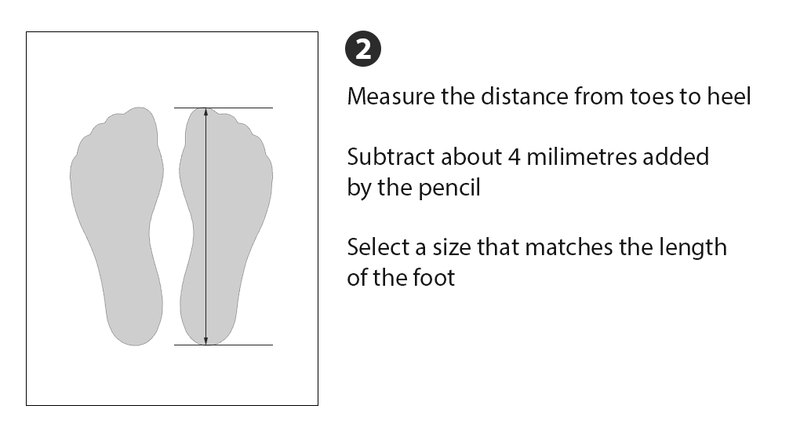 Shoes increasing by 7 cm made of leather, placed on a rubber brown sole. Excellent quality of used materials and careful workmanship will ensure your feet comfortable walking. 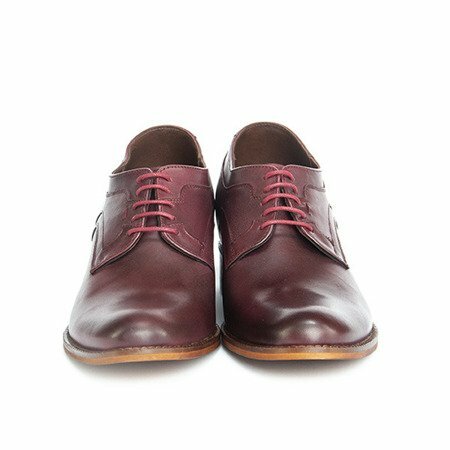 The shoes are made of hand-dyed leather, there may be differences in colors. 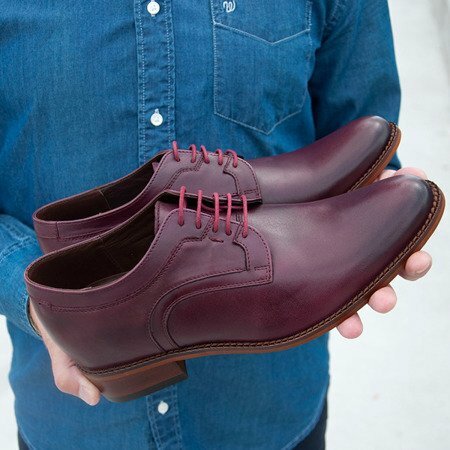 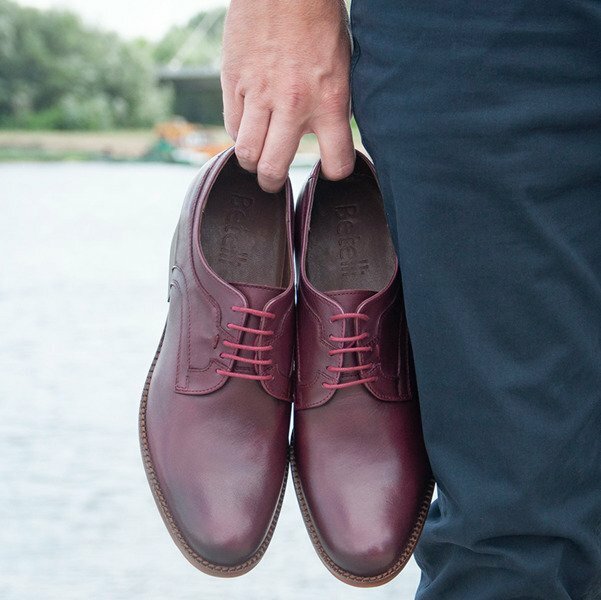 Perfect shoes for men who value simplicity in a modern edition.